These are raw brass findings that are made in the USA. 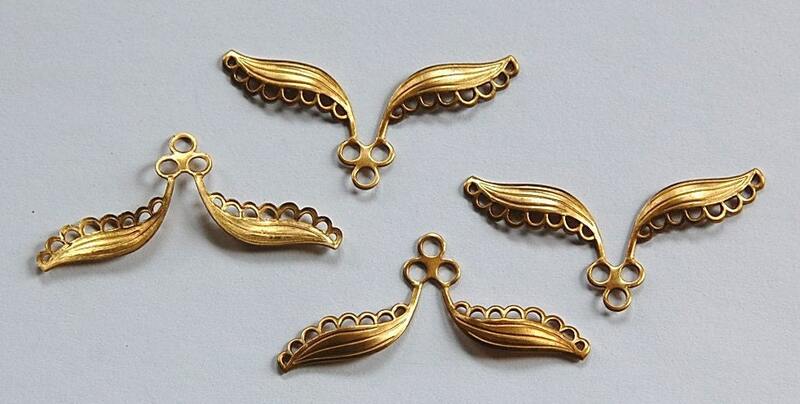 There is a 3 loop piece at the center of the V shape with 2 dapped wings or leaves off to each side with lace edging. These measure 42mm wide X 21mm high. You will receive 4 pieces. One is turned over in the picture so you can see the back. Just love these - so unique and pretty! Exactly as described. Elegant pieces.